Have you ever heard anyone saying, ”I don’t like chocolates.” Well, I haven’t, because I feel how can someone dislike chocolates as getting over its deliciousness is next to impossible. 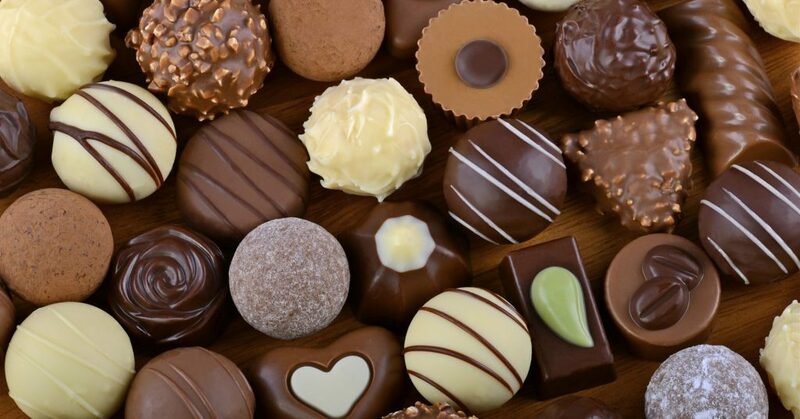 Though I have met and know some people who say, ”I hate Dark Chocolates.” Even, I myself, don’t like dark chocolates much, but I do love chocolates despite my dislikes for sweet dishes. 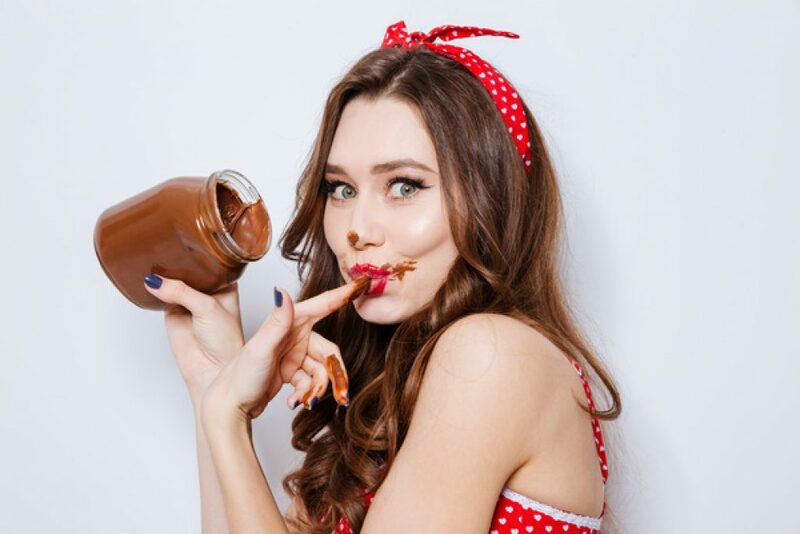 Here, in this article, I am going to write about the best and top 10 chocolate brands of 2019. And, I hope you will also mark these brands as the best chocolate brand ever. We all know that there are so many brands of chocolates available in the market but not necessarily the chocolate of every brand is yummy and may not be the best one to try. However, I assure you that you will fall in love with the chocolates all over again after trying these below-mentioned brands only once. The love for chocolates doesn’t consider gender, age, geographical location or social status. And, nowadays, in India, people have already started replacing traditional sweets with chocolates. On the occasion of Diwali, a wedding or birthdays, they have started gift wrapping the chocolates beautifully and presenting to the people. Why Chocolate brand is to look for? Though, it is not always needed to check or go via brands even while eating chocolates because no matter what the brand is, chocolate will always be the sweetest dish (or whatever it is) ever. And, what I feel is sometimes, it is just a piece of chocolate that you need either to stop your sweet cravings or chill out your mood. 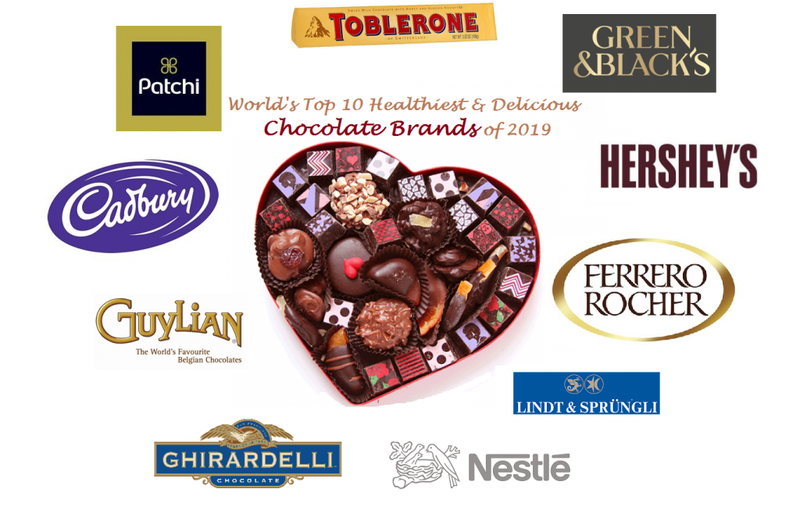 But still, the people who are brand conscious (though I don’t think anyone would be while selecting chocolates), for them, I have come up with the top 10 best and delicious chocolate brands so you can try them once and buy them again and again. 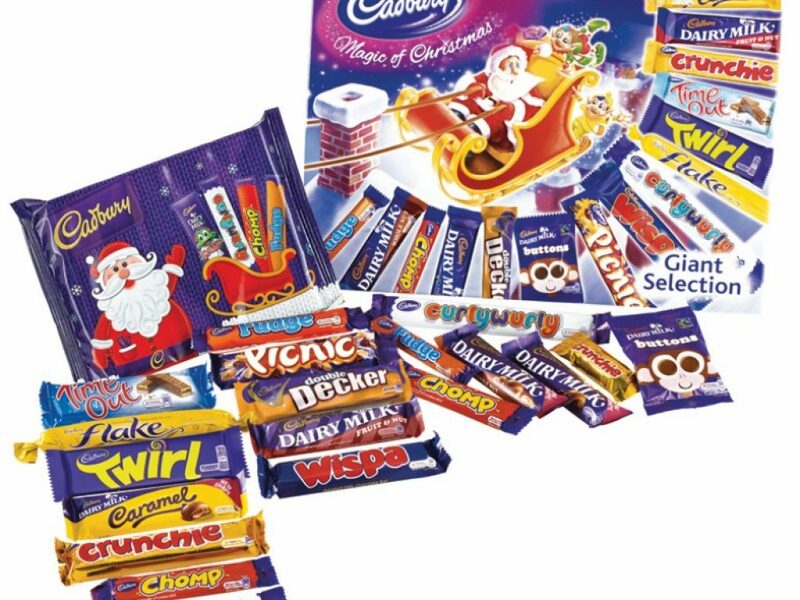 Cadbury is one of the most common, most loved and most heard chocolate brand. John Cadbury founded it in Birmingham, U.K. in 1824. In India, Cadbury has become the most widely sold brand and crowd’s favorite chocolate since its entrance in 1948. Cadbury’s tagline, “spread happiness,” says it all. It’s a saying in India that ”you are happy if you are sweet and to be sweet one should taste the sweet Cadbury.” And, the way Cadbury does their branding through various heart-touching advertisements; it attracts people of all ages and gender. It is even available in remote areas. Simply, the best chocolate for gifting, eating, mood-cheering and celebrating. Dairy Milk is the flagship brand of Cadbury and now is the time to try one, so, Don’t wait for more and buy one. Some of the most famous Cadbury variants are Dairy Milk, 5 Star, Gems, Perk, Silk, Bournville, Celebrations, etc. Why should you try Hershey’s? Because it uses the fresh milk delivered directly from local farms in its chocolates, and that is what makes it so delicious & good. Hershey’s chocolate spread is one that you can slather on anything like your morning toast, pancakes, waffles, strawberries, cheesecake, etc. 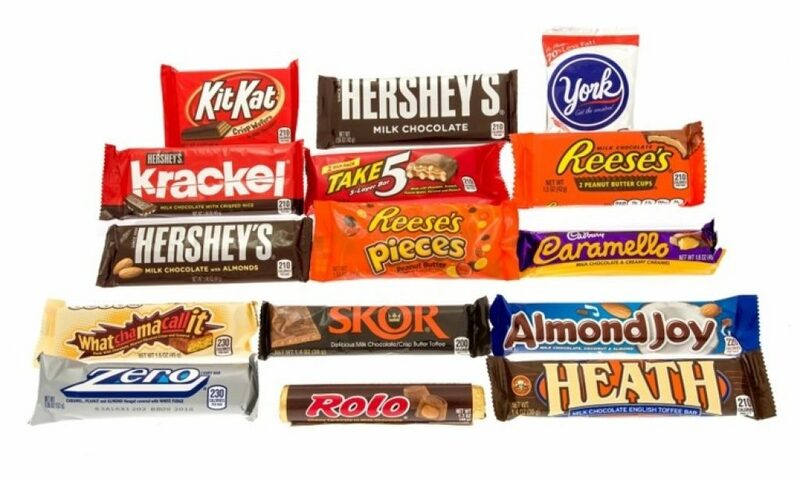 The Hershey’s Bar or Hershey’s Milk Chocolate Bar is the flagship variant of the Hershey Company. Some of the most famous variants are Hershey’s Kisses, Hershey’s Symphony, Hershey’s Semi-Sweet Chocolate Baking Chips, Hershey’s Cookies, etc. You will definitely gonna love this chocolate and why not? Because this Belgian chocolate brand is founded by two lovers, Guy Foubert and Liliane in 1958. They immortalized their passion for life’s sweetest pleasures, love, and chocolate, by joining their names to one: Chocolaterie Guylian. 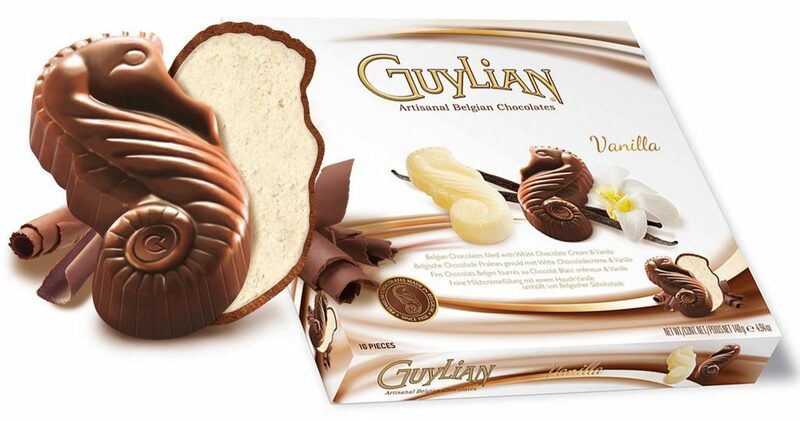 Guylian is best known for its chocolate seahorse which is their logo as well. Plus, they offer a wide range of delicious flavors of chocolates available in varying shapes, mostly related to marine life. Why should you try it? Because they create their delightful chocolates with ﬁnest Belgian chocolate & 100% pure cocoa butter. This ingredient gives their chocolates the excellent creamy taste and superior “melt-in-your-mouth” texture. Ferrero is an Italian food and beverage company established in 1946 by Michele Ferrero. And, it started its business in India in 2004. The company has been a leader in the chocolate industry for almost 200 years. The chocolate is wrapped in a beautiful golden paper which itself shows its richness and royalty & it is pure mouth-watering chocolate. This feast consists of hazelnut in a thin & crunchy wafer shell with hazelnut chocolate, creamy filling, milk chocolate, and chopped hazelnuts. The extravagant packaging & its delightful taste make it a complete package of gifting to someone on their special occasions. 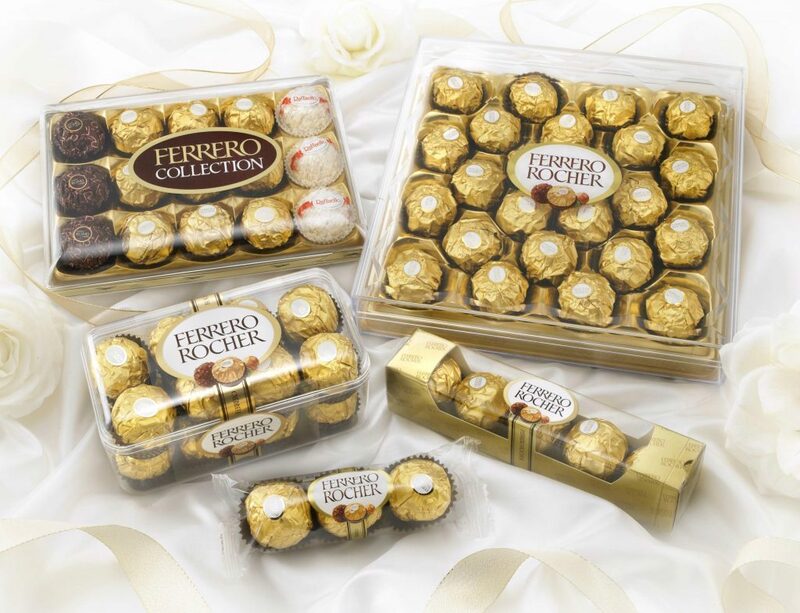 Ferrero Rocher is the flagship brand of Ferrero India. Some of the Ferrero variants are Ferrero Rocher, Nutella, Kinder, Raffaello, & Mon Cheri. The company was founded in 1852 by the Italian confectioner or chocolatier Domenico Ghirardelli who later changed his first name to Domingo. Ghirardelli is well known for its professional mix of cocoa, milk and added flavors like caramel & cool cream to the chocolate. Their chocolates have excellent quality and will immediately melt after you put it in your mouth and gives you a long lasting taste of deliciousness. 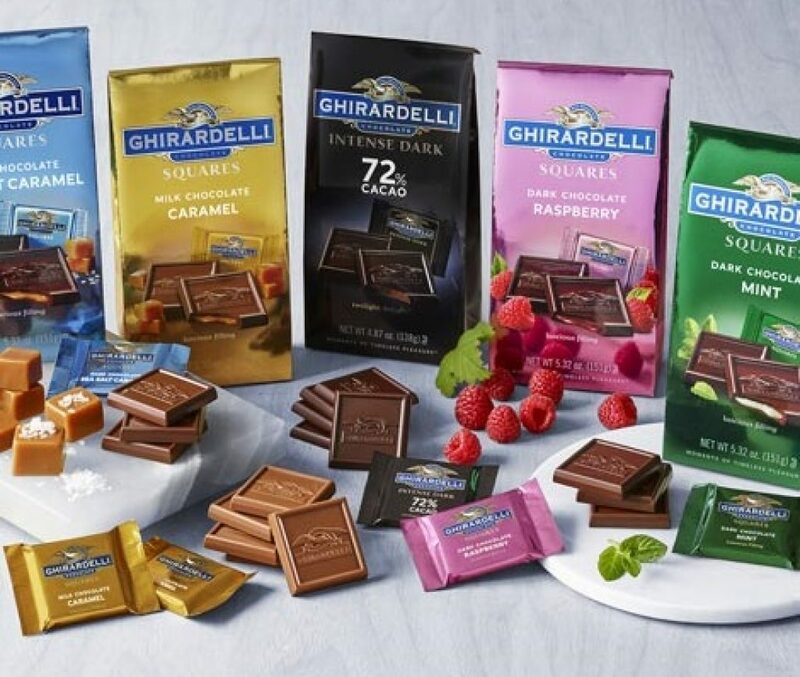 Additionally, Ghirardelli conducts two-day chocolate festival every year in the United States and displays their most amazing milk chocolate disc to attract a large number of people where they can try any of the company’s chocolate varieties. Some of the most popular variants are Milk Chocolate Caramel squares, Chocolate caramel trio squares, Cacao Moonlight mystique bars, etc. Lindt & Sprüngli, commonly known as only ‘Lindt’ is a rich & elegant Swiss chocolate brand founded in Zurich by David Sprungli & Rodolph Lindt in 1845. The flagship product of the brand is Lindor truffle which is a chocolate ball with a hard chocolate shell and a smooth chocolate filling, and that too comes in plenty of flavor options. Why should you buy Lindt? Because, while the creation of their chocolate desserts, they use only fresh milk, granular ingredients, cocoa, mixed with different flavorful fruits. In addition to truffles, it also sells chocolate bars, ice cream, sweets, and liqueurs. Some of their popular variants are HELLO Easter thank you, LINDOR Mango & Cream Gift Box, LINDOR Bar White, etc. Also read best-dried fruit brands that make you healthy by clicking here. Nizar Choucair founded this Swiss & Belgium chocolate brand in 1974 in Lebanon. It is one of the best-selling chocolate candy bars in the world. 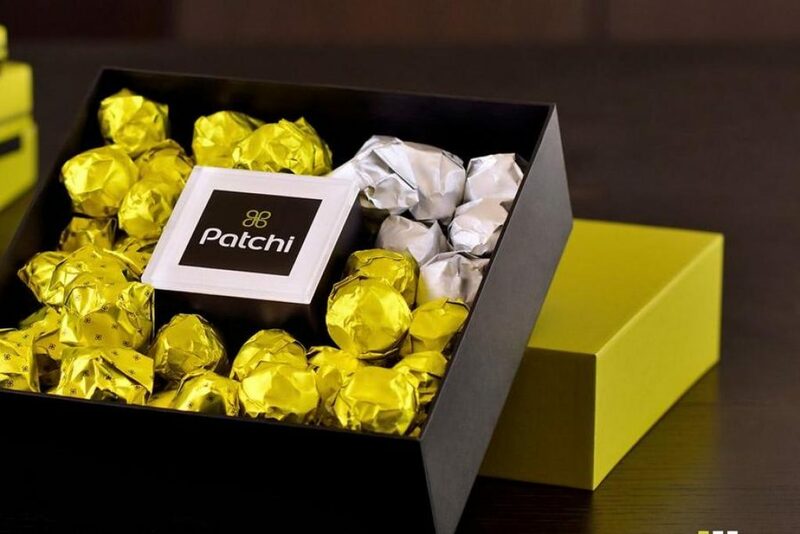 Why should you try Patchi? Because it serves you with a creamy blend of fresh milk and finest cocoa with mesmerizing taste. And these two are the core ingredients of this famous brand. Their exclusive packaging is so highly attractive that it makes a perfect gift for your loved one. Patchi’s menu features more than 50 varieties that include pistachios, roasted hazelnuts, and almonds as well as orange peel and dried strawberry. The chocolate also comes in flavors like peanut butter, cheesecake, and cotton candy. Theodor Tobler and Emil Baumann invented a unique chocolate bar, TOBLERONE in 1908. “TOBLERONE” name is a fusion of Tobler and Torrone, an Italian word for honey and almond nougat. 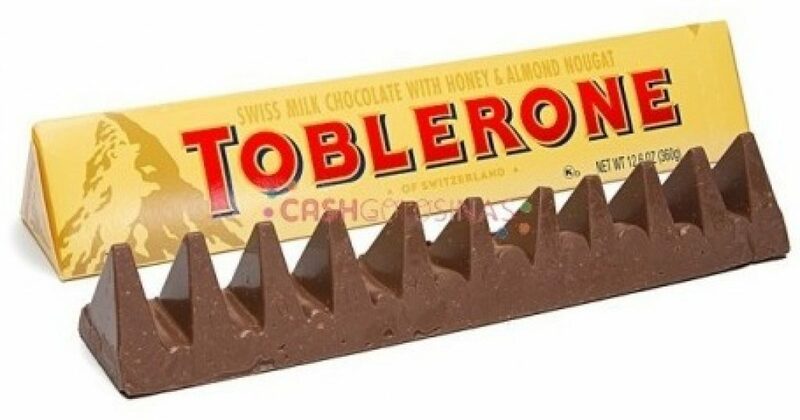 Toblerone is another Swiss chocolate brand, and its logo resembles the most popular mountain in Switzerland, Matterhorn. That is why the chocolate comes in a mountain shape. You should definitely try this chocolate because it has a creamy texture & is a perfect mix of cocoa, nougat, almonds, and honey. And it does not only look delicious but tastes incredibly delicious. Toblerone also offers different flavors such as white, plain, pralines, fruit & nuts, and honeycomb and is available in bars and pieces. Some of the famous chocolates are Toblerone milk chocolate, Toblerone one by one stand up bag – milk, etc. GREEN & BLACK’S is organic gourmet chocolate and was created in London by founders, Craig Sams, and Jo Fairley in 1991. Since it is an organic product, so, I don’t think you will need any other reason to try this chocolate bar. Despite being an organic product, it has a mesmerizing taste. 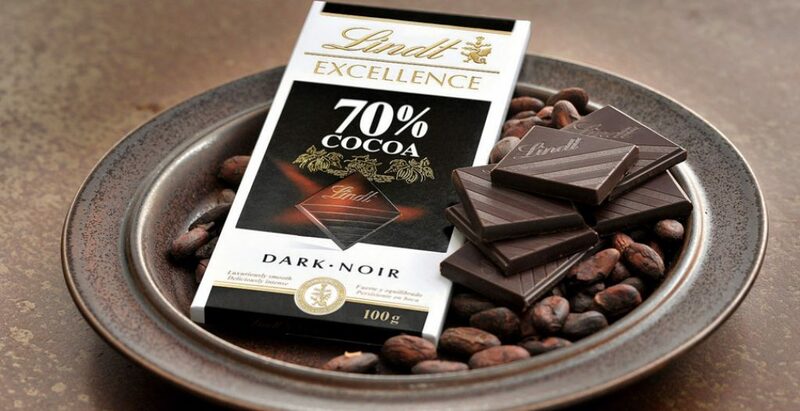 This chocolate is especially for dark chocolate lovers because you will find a dark chocolate bar with 70% cocoa. It also contains cocoa butter, sugar, and vanilla for a bit of sweetness. Their signature product includes Pure Dark and Pure Milk chocolates in a variety of delicious flavors made with cocoa beans ethically sourced from Cocoa Life. And the best part is that the chocolates contain no artificial colors, flavors, or preservatives. Henry Nestle founded Nestle in 1866 in Vevey, Switzerland and it came to India in the late 1950s. As they say, Good Food, Good Life, this chocolate brand is really as sweet as their tagline. Nestle’s flagship variant in India is KitKat, a bar of crisp wafer fingers covered with choco layer. Why should one try KitKat? Because Nestle’s special tropicalized recipe ensures that KitKat is preserved even in warmer climates. They do have chocolates for kids, Nestle Milkybar and Nestle Milk chocolate which is rich in Calcium and that is why parents can treat their kids with. Some of the widely consumed Nestle brands are Extra Smooth, Kit Kat Senses, Kit Kat Dark Senses, Alpino, Bar-One, and Munch. If I talk about myself grabbed with the uncontrollable desire for something sweet, it has not done with me yet, but YES, it has happened for chocolates for sure. It must have happened with you too. And in those times, a small piece of chocolate is just what we need to satisfy our sweet craving. 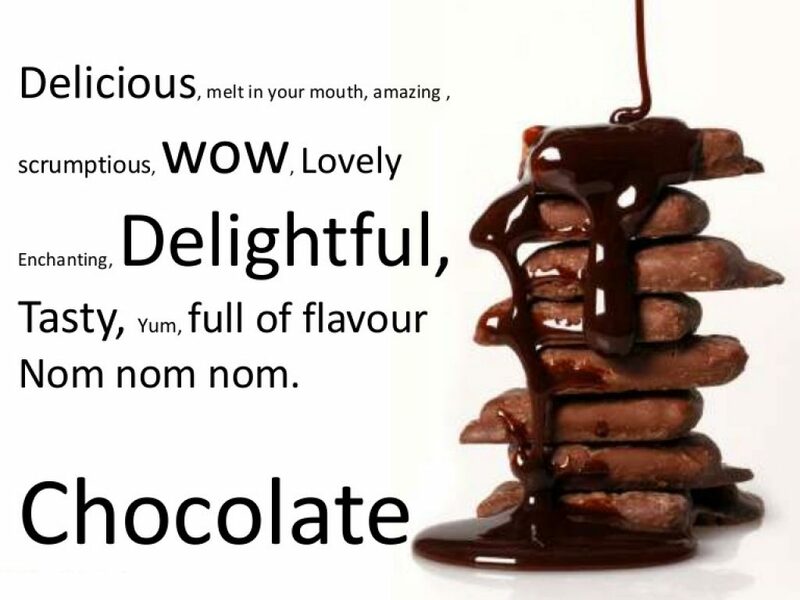 Do you know, what the ‘feel good factor’ in chocolate is? It is the amino acid tryptophan, which is also a component of the ‘feel good hormone’ serotonin. This hormone affects the brain and can lift a person’s mood instantly. So I feel, chocolate can sweeten a bad day, to some extent. The next time you feel bad, take a piece of chocolate and enjoy it. Let me end the topic now: So, you know the famous and top brands of chocolate now, I would want you to try them at least once and share your sweetened experience with me.